Click Below to Listen to Story Excerpts | Biddy Bytes: "Where Am I?" Some people were confused and e-mailed me that they couldn’t access the audio clips on the grandpaandthetruck.com site, so I am putting them on Biddy Bytes site today…Just click on each of the subgroups under Excerpts, beginning with “Intro.” These audio clips are brief (and I think) exciting. Imagine telling a 4-8 year old, with their eyes all wide, as they anticipate the ending. 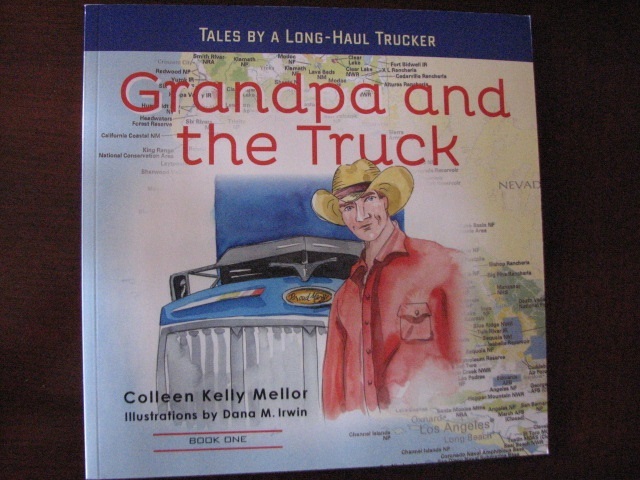 To order books (they make great gifts), go to the link on the latest post on the grandpaandthetruck.com site. We’ll be holding autograph sessions, too, so children can have Grandpa “Gater” –or author–autograph personal copies for each. But don’t take my word for it–Listen to the excerpts and judge for yourselves. What do most seem to really like about this book? Each book teaches many things (remember, I’m a teacher first and foremost.) They’re not merely sweet little books with cute story lines: they highlight geography (kids follow the truck in each story); regional differences in America (Grandpa will eat shrimp and grits in Biloxi, Mississippi and deliver up a winding road in West Virginia to a mine owner atop a mountain); respect for others (Grandpa has trucking buddies from all backgrounds and ethnic groups) and Nature; and each teaches amazing life lessons. And all stories follow up with a question sheet (written at the child’s level). How do I know they work? I test-drove each of these stories on our own little guys. But remember–these stories are not merely meant for little boys. 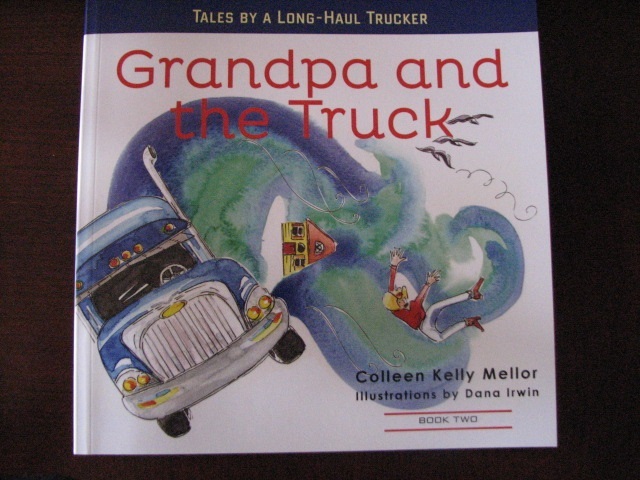 Book 2, Story 1 is “Girl Truckers,” encouraging all people to choose careers based on their interests and abilities–not on whether they’re boys or girls.” This story is paired with “Grandpa Meets the Hurricane,” when Grandpa finds himself in the grip of a hurricane in the middle of the night. Each of the Grandpa and the Truck books (3 are planned for release by October) is comprised of two stories, beautifully-illustrated by Asheville artist, Dana Irwin. For autographed copies now, order right from the www.grandpaandthetruck.com site. If you specify you want autographed copies, let us know that informationwhen you order–just please tell us author or Grandpa “Gater” autograph and clearly print out person for whom you wish the book autographed. This entry was posted in "I Didn't Know That..." and tagged children's truck stories, kids truck stories, truck stories, truckers. Bookmark the permalink. Colleen, loved reading your book but especially enjoyed hearing you read it. Best of luck and congradulations. Sal–My readings are apparently the very thing that sold my illustrator on the idea of the Grandpa and the Truck stories…I will doubtless offer them for sale–the complete version–at some time in future (that’s what my sound tech person suggested.) He said ‘this way, parent can pop them into the recording devices in cars to keep little ones mesmerized.’ Well, as I said in some piece I wrote on one of my two websites: I LOVED hearing “The Lone Ranger,” every Sunday when my family drove in the family car, and I even liked hearing “The Life of Helen Trent,” as my mother ironed Dad’s shirts…So, I fully understand the power of readings. Thank you, as ever, for your encouragement. I continue to wade into unfamiliar territory (markeing of books,) and I must say: It is really interesting. Colleen, bought your book and loved reading it but especially enjoyed hearing you read it. Best of luck and congradulations! !